Beverages are part of the megatrend towards healthier options that an increasing number of people are going to be looking for. Fermented drinks like Kombucha are going to be increasingly popular, with 5x the number of people looking for Kombucha now than 5 years ago. We discuss where you want to sit in the product adoption cycle / trend uptake and whether you want to be doing the heavy lifting in educating your customers. We discuss bugs – are they going to be a trend with bugs? Possibly not. A lot of people are talking about it, but there is still a lot to do with customer education to make it acceptable and there is also a lot of work to be done with the supply chain for it to become economically sustainable. Delivery + Take Home. Pizza delivery has been done, probably since the 1950s. Deliveroo wants to see a dramatic uptake in breakfast and lunch deliveries and will be looking to charge 35% commission. Breakfast will probably be hard work to find people looking to order their breakfast for delivery. We discuss the options for Restaurants as there is a slowly increasing number of customers looking to eat in their own home. There are options for Restaurants rather than signing up for Deliveroo / UberEats / Delivery Hero / Grub Hub. Check out the Free Restaurant Online Ordering system. Maybe try a pick up only system, do your own deliveries, or try some of the other combinations. We discuss the genius in the Dominos Pizza delivery system and the delivery fees that Dominos charge. We think that these are some of the smartest guys in the delivery game, and you can use some of their tricks. Innovation – this is becoming an increasingly hot topic. More Restaurants are searching for ideas on Restaurant Innovation, in fact our podcast on Restaurant Innovation is one of our most popular episodes. Whether it is in the menu, the business model, the site, the team, there are a lot of strategies that Restaurants are becoming increasingly interested in to help differentiate themselves. 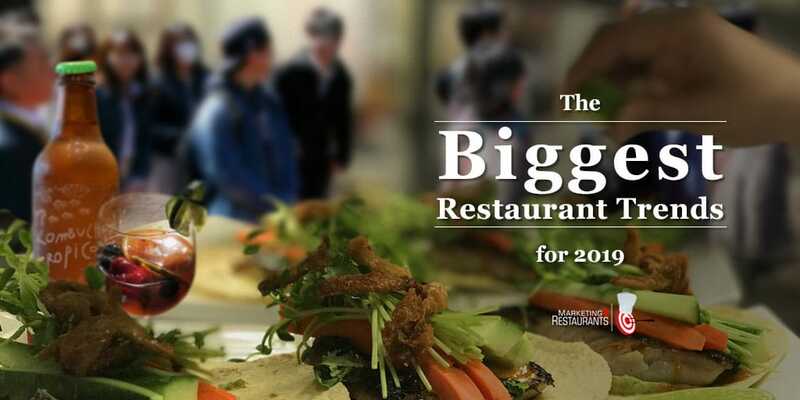 Niching down – more Restaurants are creating bespoke niche plans across multiple niches in their Restaurants. We discuss some ideas like your Whiskey drinks list. Marketing – there will be a lot more Restaurants that are going to create a real marketing plan. Using the data that they have from their online ordering system or booking system and trying to target and retarget as many customers as possible. More restaurants will be looking at ways to move their customers to the right on the customer loyalty graph. 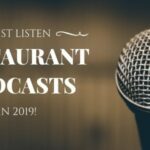 The number 1 trend for the Restaurants – well, you will have to listen to the podcast. 🙂 Seriously though, this is really important and it is a really common mistake that we see time and time again and it really is detrimental if you aren’t focusing on this trend. People who follow this, restaurants who build this into their business, they are much more likely to be successful. We talk about the search for General Tsao’s Chicken. If you haven’t seen the Netflix documentary, check it out – it is a great example of menu engineering and adapting a cuisine to a market. Cricket OJ + Yoghurt smoothies. Yes, we talk about Crickets and OJ smoothies.